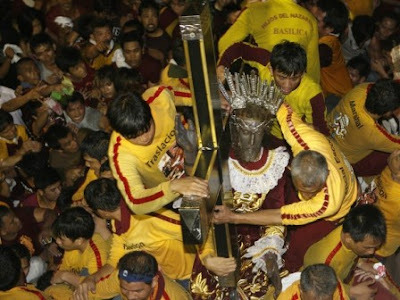 Home Black Nazarene Feast of the Black Nazarene Filipino Filipino Culture Itim na Nazareno January 9 Jesus Christ Quiapo Church Statue of the Black Nazarene The Feast of the Black Nazarene! The place seems like a sea of million people! 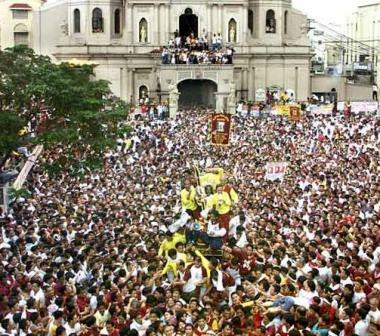 Every year, million devotees gather around the church of Quiapo for the annual feast and procession of the Black Nazarene. They believe that this black statue of Jesus Christ is miraculous. It can heal all their illness and can grant all their wishes! 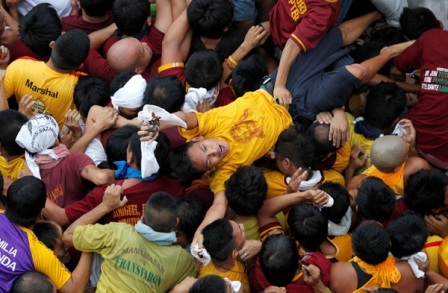 As part of their sacrifice, the devotees walk from their home to the Quiapo church bare-footed! 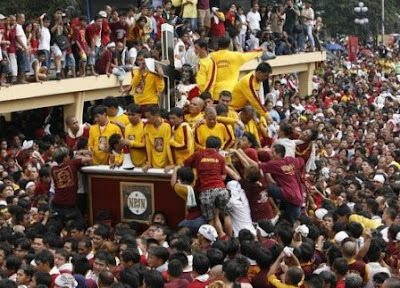 They doesn't matter if million people were there in the crowd! Even they get hurt, they still continue their patronage! This is one of the well-known Filipino traditions! 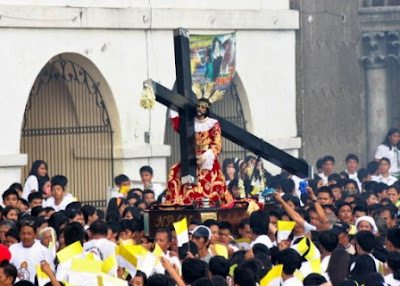 See how strong the faith of the Filipinos to our Almighty God!